Scared of thunder and lightning? Usually there's no need to be afraid. Mostly the lightning bolts are far away. 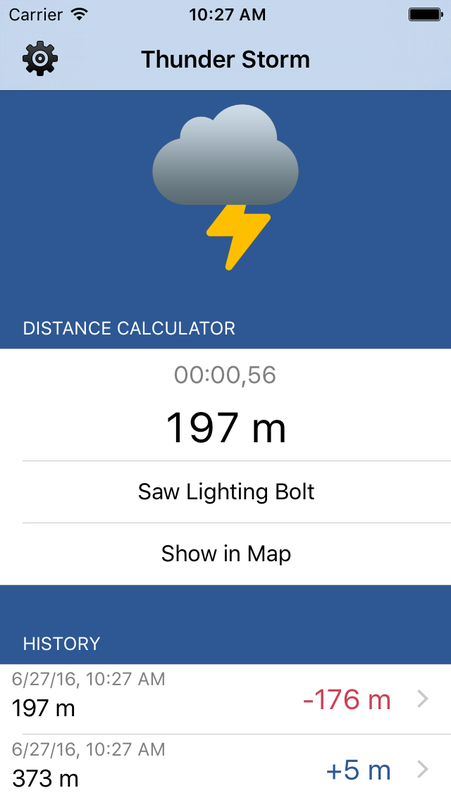 This app will tell you how far exactly and it can even show you the location on a map where the lighting bolt went down. 1. Touch 'Saw Lighting Bolt' when you see the lighting bolt. 2. 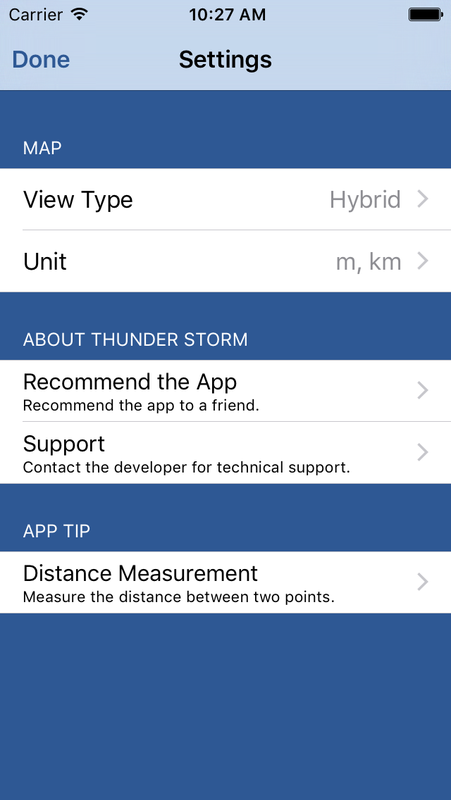 Touch 'Heard Thunder' when you hear the thunder. 3. 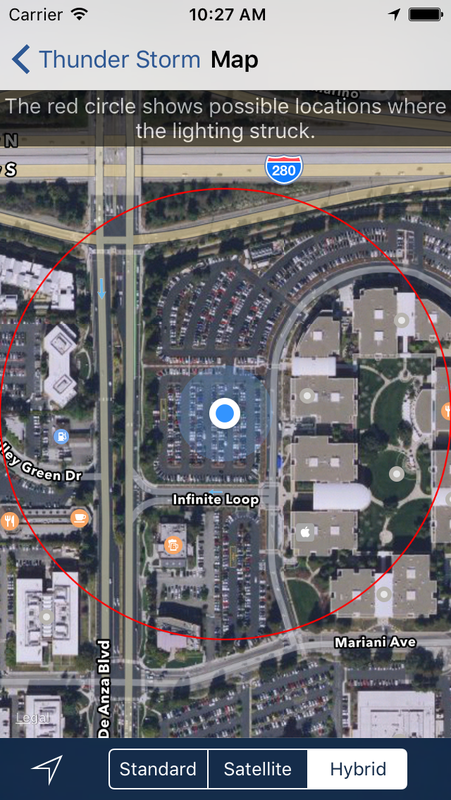 Touch 'Show in Map' to see the where the lighting bolt went down.